You can’t really avoid letting your child use your tablet or smartphone. In most cases, when they’re playing on the Android device, you can have some much-needed peace and quiet. But how do you make sure that they only do what they’re allowed to do and they don’t see anything they shouldn’t? This free app called Kids Place can help you achieve that. Yes, you can always create a restricted profile, provided you’re running a newer version of Android. 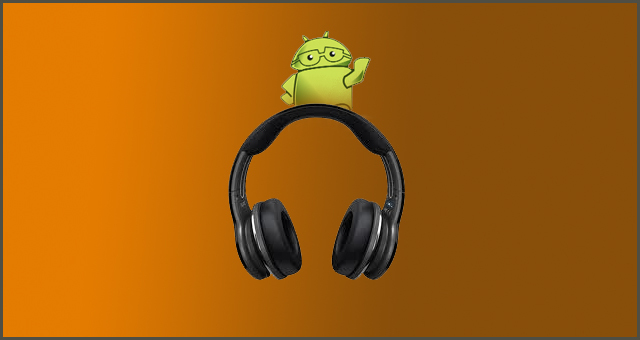 However, if you’re not running Android 4.3 or later or you simply don’t want to create another profile, what do you do? 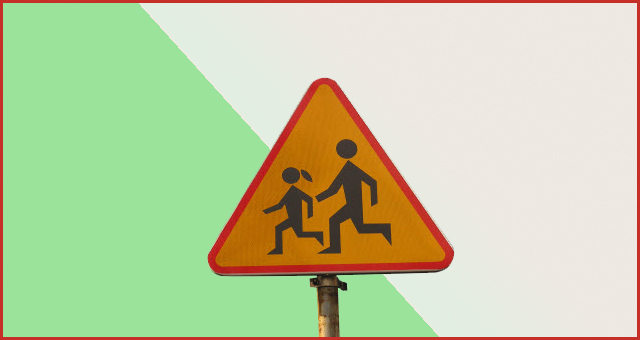 You can’t just let your kid use everything on the device; let’s face it, he or she just has to get online to be able to run into all kinds of things that are highly unsuitable for young ages. Well, Kids Place is an app which tries to cater to these needs, by offering something similar to the Kids Corner feature in Windows Phone. 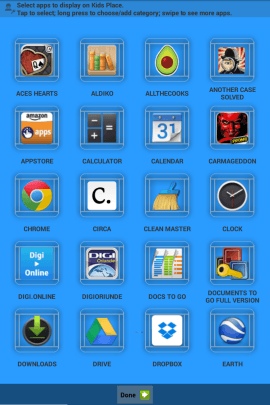 It’s essentially a launcher, one that only allows your kid to use the apps you want them to use, in a safe environment. That environment can’t be altered or left without a PIN code. So, you can basically only add the games you want them to play, start Kids Place and let them play, as they can’t delete files, access the internet or do whatever else you don’t want them to do. 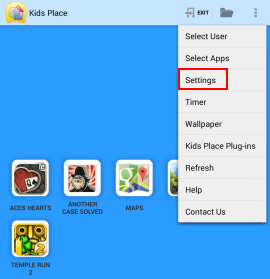 If that all sounds good, start by installing Kids Place from the Google Play Store. After the app is installed, setting it up is a breeze. You’ll start by setting a PIN code. It needs to be four digits and I’d write it down if I were you. You’re also asked to provide an email address in order to be able to recover it, as well as a hint, but write it down somewhere safe anyway. Once the PIN is set, set the apps you want your child to be able to access. You just tap the ones you want in the next screen. Now, don’t let your kid use the device just yet. Before doing that, tap the three dots button and go to Settings. You’ll be able to tweak lots of parameters here. You should probably disable the Home button, so that kids can’t use that to exit (just follow the instruction to enable the feature). 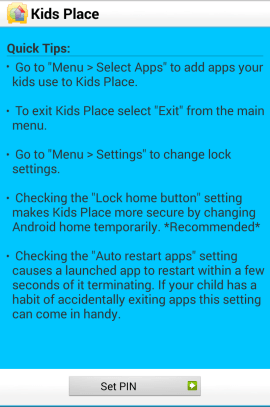 If you plan on leaving the kid alone with the device, and you think they’re resourceful enough to think of restarting it to exit Kids Place, you can set the app to start when the device starts. Just make sure you have that PIN somewhere you can easily find it. 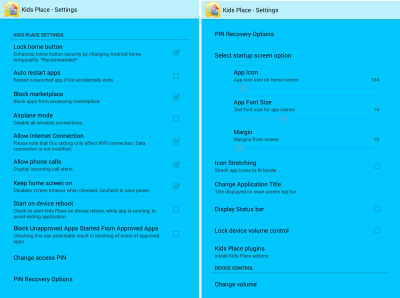 You can even set a wallpaper, to make your kid feel at home, or decide if you want apps to be automatically restarted (in case your kid accidentally exits them). Once you’ve made up your mind on all the settings, just start the app whenever you’re giving your kids your phone or tablet. They’ll only be able to use what you’ve allowed them to, and exiting Kids Place or trying to do anything else will request the PIN code. If you only want the kid to play for a determined amount of time, that can be done, too. Tap Timer in the menu that appears when you press the three-dots button and set the amount you want (or a specific time). Once time’s up, the app will request the PIN code. 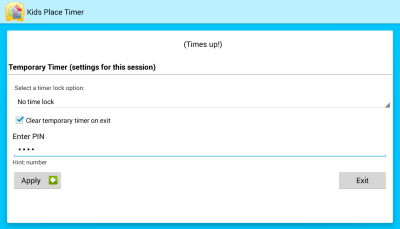 If you have children of different ages, the menu will even allow you to set different users, with different apps allowed. Then, you can just select the user you want from the same main menu. If you need more features, the app also offers a few plugins, which will add some new functionality. 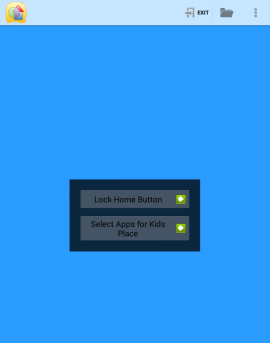 They can be installed from the main menu, in Kids Place plugins. There’s a video player, which allows your kid to see only the videos you want (and a similar picture viewer), a Safe Browser which only lets them access specific websites, as well as a more advanced screen time controller. Some of these only offer basic functionality, requiring payment if you want the advanced features. If you ask me, Kids Place itself is more than enough to control what a child does on a tablet (especially if you only want to let them play games and listen to music). Soon enough, I’ll talk about some more advanced options, more suited for older children and teenagers. 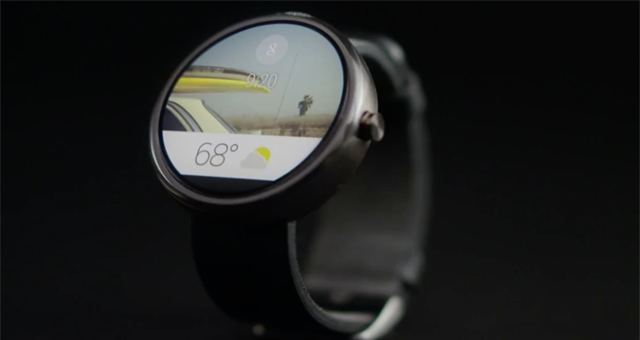 Previous post Three Great Apps To Download MP3 Music to Your Smartphone Next post Google's Android Wear is Coming!